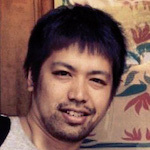 Satoshi Nozaki joined Founders Space as a mentor. He is the President and CEO of Archetype Digital and Partner at Tokyo’s Archetype Ventures, the oldest startup accelerator in Japan. In addition to being a prolific seed-stage angel investor, Satoshi consults closely with enterprise-level Japanese corporations, assisting them with finding strategic partnerships and investments. He splits his time between Tokyo and the SF Bay Area and can help facilitate or provide guidance for those considering international expansion.